Yes, Kaua‘i can be a tranquil paradise, but you’re more into adrenaline-fueled exploration. If the thought of rappelling down the side of a waterfall gets your heart pounding, there’s a Garden Isle experience fit for an action movie. 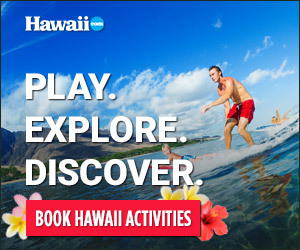 ISLAND ADVENTURES admits, “This ain’t no zipline tour.” Its HAWAIIAN DUNDEE ADVENTURE has guests kayak up the Hule‘ia River into the heart of a wildlife refuge. Following a short hike through a forest, guests head to a trail exclusive to Island Adventures. After a short rappelling lesson, tour takers hike through lush environs filled with guava, passion fruit and ferns, ending at two private waterfalls for rappelling: the 30-foot Bamboo Falls, and the 60-foot Hawaiian Dundee. Rappel, swim, take photos and hike—all while overlooking the Ha‘upu Mountain Range. For more information, visit islandadventureskauai.com.